Western Alaska is a tough environment to work in, not to mention to travel to. 1-Call Alaska recognized this and the need of a guaranteed means of transportation to and from maritime casualty sites. Road and water transportation are slow and improbable depending on the season, while flights to can be highly difficult to come by on short notice. As a result, 1-Call Alaska has a Pilatus PC-12 stationed in Anchorage AK with a trained aerial observer immediately available. The Pilatus, PC-12 can hull upwards of 2000 lbs of cargo, as well as move up to 9 passengers. It has a large cargo door and seats that can be removed to accommodate as much equipment as possible. The Pilatus can land and take off in less than 3000 feet, and cruise a maximum distance of 2088 nautical miles, at 285 KTAS (528 km/hr). 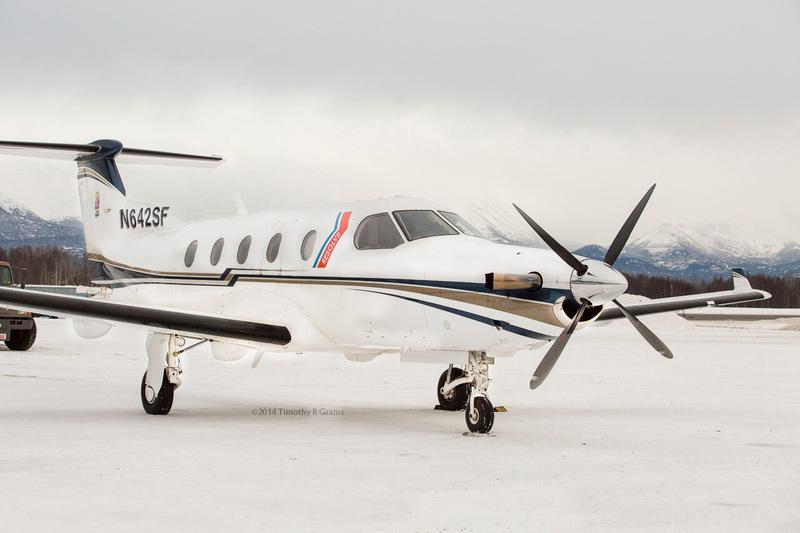 The Pilatus is the ideal plane for accessing rural airports across the state of Alaska.